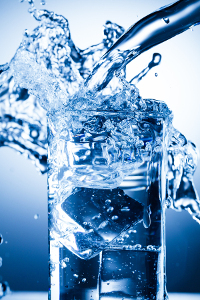 Well water filtration can treat water that has obviously apparent problems. The water from wells can look cloudy or it can smell and taste unpleasant due to contaminants. Well water is especially prone to these issues because it is not subjected to the strict regulations that municipal water must follow, as mandated by the EPA. Since wells are typically privately owned, the EPA does not have the jurisdiction to regulate them. This is why it is essential that those who use private wells and think they might have water problems look into the benefits of well water filtration. The best way to determine what sorts of problems your well water may contain is to have a professional from RainSoft perform a complimentary in-home water test. We can then recommend the well water filtration system that will work best to solve the problems with your water. To learn more, contact your local authorized RainSoft dealer today.